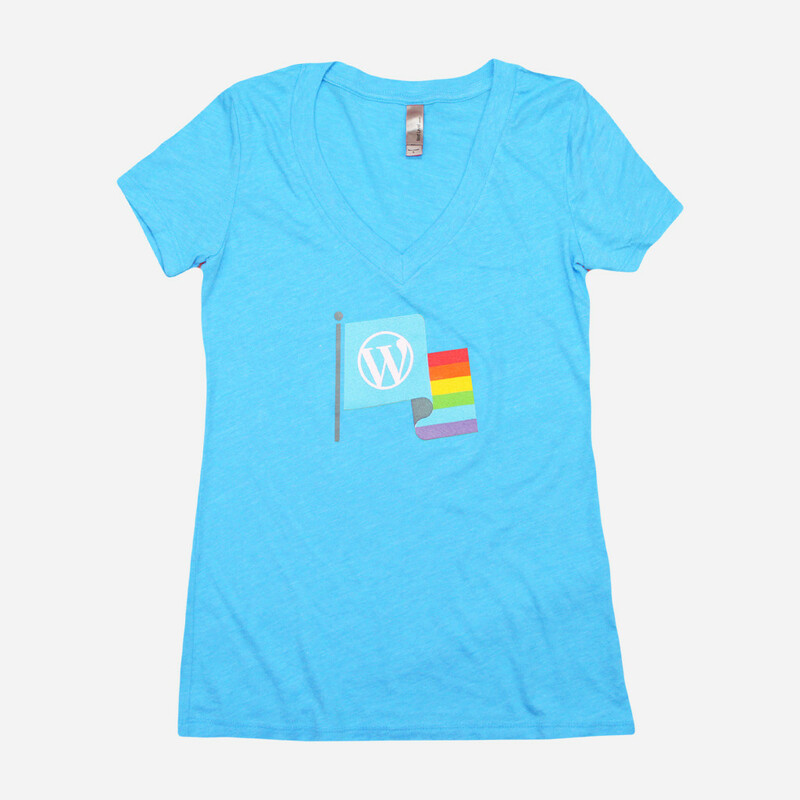 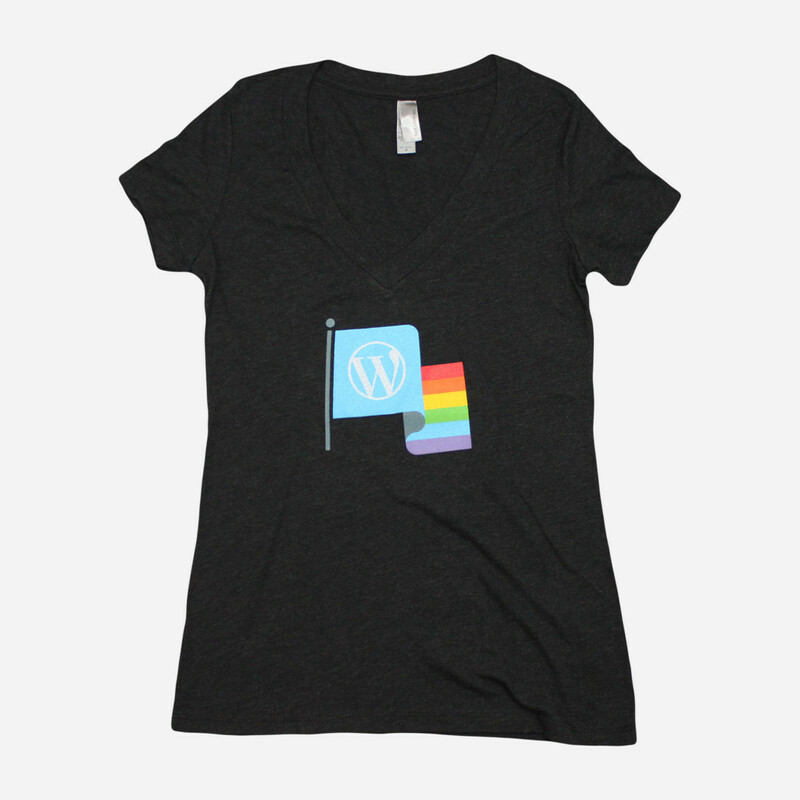 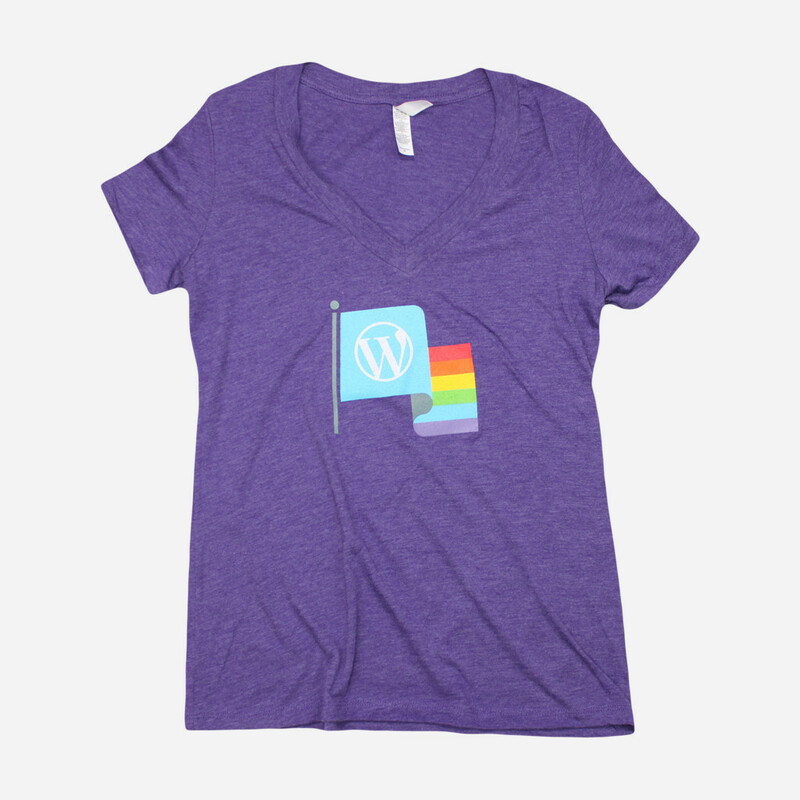 Get your WordPress pride on! 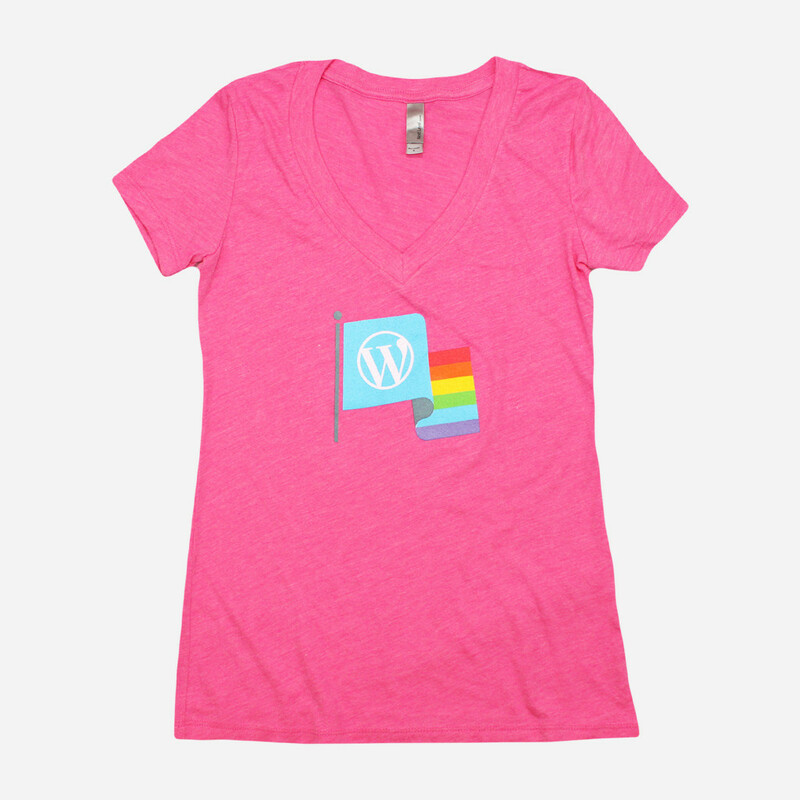 These shirts are a departure from those boring conference t-shirts of yesteryear. 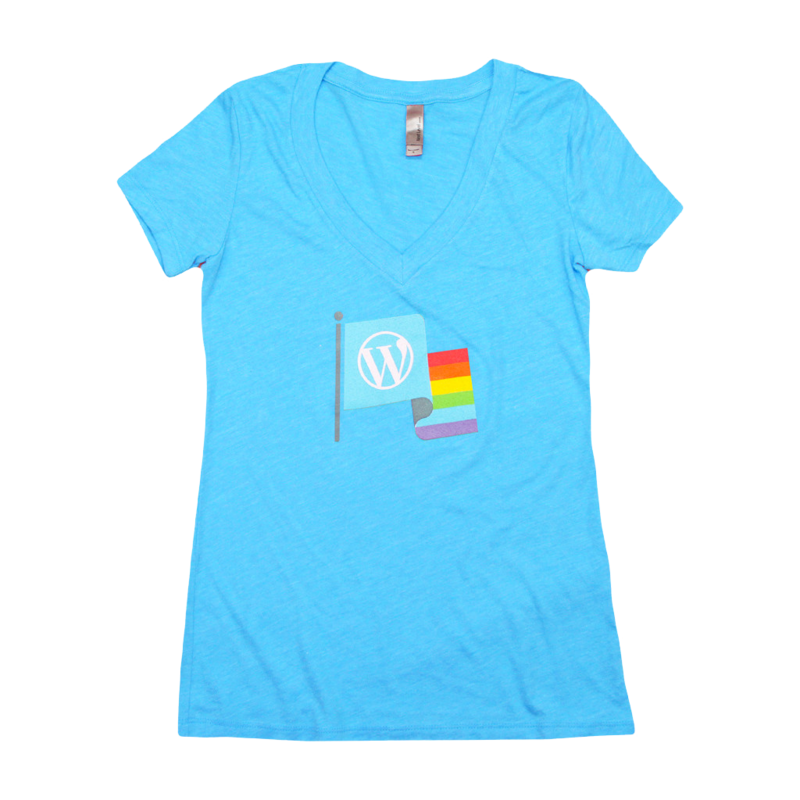 Printed with a WordPress Rainbow flag and available in a rainbow of colors, you probably need one of each. 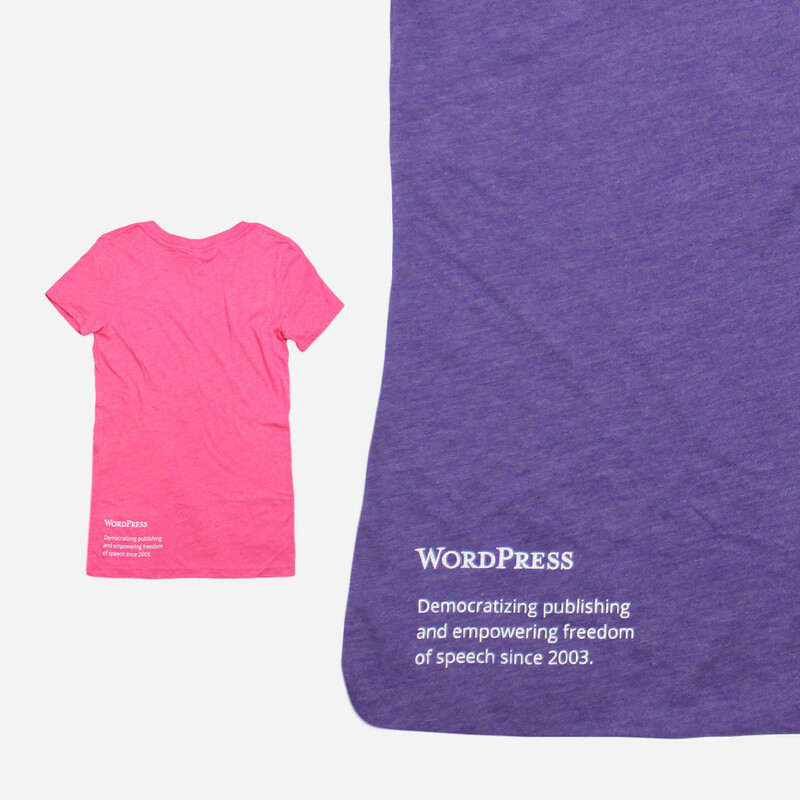 Printed on Next Level Tri-Blend V-Neck.